Peritoneal mesothelioma is a form of cancer that affects the lining of the abdomen (the peritoneum). It is caused by the ingestion of asbestos fibers. How Is Peritoneal Mesothelioma Treated? This is the only surgical option available to those with a peritoneal diagnosis. This surgery has high success rates when it is combined with chemotherapy. This is the most common treatment for peritoneal mesothelioma. It is sometimes administered directly to the abdomen during surgery. This is the least invasive treatment option for peritoneal mesothelioma patients. Radiation may be delivered during surgery as well. In most cases, peritoneal mesothelioma does not spread to the lungs. It has been shown to spread to the other abdominal areas, such as ovaries, liver, or intestines. This metastasis often causes it to become discovered and sometimes misdiagnosed. Symptoms of stomach pains or ascites sometimes results in a misdiagnosis of hernias or a simple stomachache. We've built relationships with top peritoneal doctors. Learn how Doctor Match works. Get matched with the best specialist for your unique diagnosis. Unlike pleural mesothelioma, peritoneal mesothelioma is most common in females between the ages of 51-59 years old. Men who are diagnosed with peritoneal mesothelioma are often veterans and those with occupational exposure to asbestos. Research suggests that peritoneal mesothelioma patients aged 60 and younger have a better survival rate. Peritoneal mesothelioma does not usually spread to the lymphatic system (lymph nodes) or blood stream. It usually metastasizes in large masses in the same areas where it originated. Diagnosing malignant peritoneal mesothelioma is difficult due to non specific signs and symptoms. It is often confused with abdominal distension (gas) and irritable bowel syndrome. Most patients do not experience symptoms until the disease has progressed. CT scans are the most useful imaging tool to initially test for peritoneal mesothelioma. Doctors may also use a technique called peritoneoscopy. During this procedure, a surgeon makes a small incision on the patient’s abdomen and uses a small camera to explore the abdomen. There is also a tool on the camera that helps to extract tissue on the peritoneum to test for mesothelioma. These tissue biopsies are needed for confirmation of a diagnosis. Fluid buildup (ascites) is present in 60-100% of newly diagnosed patients. Doctors do not use a standard staging system when diagnosing peritoneal mesothelioma. Generally, before the tumors start to spread, the disease is centralized to the abdomen. As it progresses to stage 2, the mesothelioma may spread more but is still contained in the peritoneum. In the final stage, stage 4, the mesothelioma has spread to other organs, such as the liver and colon. Treatment options are dependent on the stage a peritoneal mesothelioma patient is diagnosed with. There are more curative treatment options, like cytoreduction surgery, for patients with earlier stages. 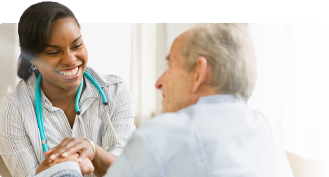 Patients in the later stages may receive palliative treatments, like radiation or chemotherapy. Another palliative treatment option may be a paracentesis to drain the fluid buildup in the abdomen. The most successful treatment of peritoneal mesothelioma has been the combination of cytoreduction surgery and HIPEC (heated intraperitoneal chemotherapy). The cytoreduction removes most of the cancerous tumor, and HIPEC is used to kill the remaining cells. A study involving Dr. James Pingpank analyzed 211 patients with malignant peritoneal mesothelioma between the years of 1992 and 2010. All of the participants were treated with cytoreduction surgery and HIPEC. Patients that underwent both procedures had a 5-year survival rate of 41% and a 10-year survival rate of 26%. Researchers discovered that the median overall survival of the patients was 38.4 months. This treatment has been successful in patients with good general health. Some patients have lived as long as 7 years after having this surgery. Find a mesothelioma specialist offering this treatment option using our free Doctor Match program. Jodi Page is a survivor of stage 2 epithelioid mesothelioma for over 14 years. Cytoreduction is also referred to as “debulking.” The goal of cytoreduction is to remove as much of the tumor as possible, though it is often not possible to remove the entire tumor. The peritoneum (lining of the abdomen) and/or some other organs may need to be removed. Since cytoreduction surgery is such an extensive procedure, it can take a surgeon up to 10 to 12 hours to complete. It is usually performed in patients with stage 1 or 2 peritoneal mesothelioma. Recovery can take anywhere from 7 to 13 days. One study showed a majority of patients experiencing nausea up to 13 days after their surgery. Regular activities (such as eating, drinking, and mobility) are typically reestablished within 11 days after the cytoreduction and HIPEC. Heated intraperitoneal chemotherapy (HIPEC) is used in patients who have cancers of the abdomen. High doses of chemotherapy are intended to kill any remaining mesothelioma cells left after a cytoreduction surgery. HIPEC is a heated and sterilized chemotherapy treatment. Dr. Paul Sugarbaker led the way in innovating cytoreduction with HIPEC for patients with peritoneal mesothelioma. The side effects of this chemotherapy are less than those of regularly administered chemotherapy. At the end of the 60-90 minutes, the chemotherapy is washed out of the body. A study conducted by Dr. Sugarbaker revealed success in using cytoreductive surgery and HIPEC to treat patients with diffuse malignant peritoneal mesothelioma. 401 patients were followed up with after experiencing treatment. 60% of the patients had a 5-year survival rate, and 47% had a 10-year survival rate. Overall, the participants had a median survival of 53 months. Peritoneal mesothelioma patients may be given a combination of Alimta and cisplatin, the same treatment given to pleural patients. In 2009, a patient went in for an unrelated procedure and signs of peritoneal mesothelioma were found. The patient was given a combination of Alimta (500 mg) and cisplatin (80 mg). After six cycles of chemotherapy, all signs and markers of the peritoneal mesothelioma were gone. Six months later, CT scans showed no changes or reoccurrence regarding the mesothelioma. After 4 years, the patient was alive with no signs of disease progression. Studies show the normal survival rate of patients with peritoneal mesothelioma is around 7.6 months if they do not receive chemotherapy. Forty-one percent of patients who were given the combination experienced improvement, while 17% showed satisfactory results with cisplatin alone. On average, patients who received the combination of Alimta and cisplatin lived 12.1 months longer compared to 9.3 months on just cisplatin. Studies are also testing the effectiveness of the drugs vinorelbine and gemcitabine in combination with cisplatin. For many peritoneal mesothelioma patients, radiation is not usually effective. Radiation may shrink tumors before or after a cytoreduction, but there have been no reported cases of eradicated mesothelioma by solely using radiation. A mesothelioma specialist can determine if radiation is appropriate based on their patient’s specific diagnosis. Although there isn’t currently a cure for peritoneal mesothelioma, many patients have a hopeful prognosis. The median survival time for patients who have not had the cytoreductive surgery is about a year; however, in patients who have had the surgery, survival times increase by up to five years. There have been cases of long-term survivors who have been in remission for over fifteen years. The most successful cases are those whose mesothelioma is detected in the earlier stages and begin treatment immediately. Most of theses cases include a cytoreductive surgery and HIPEC. 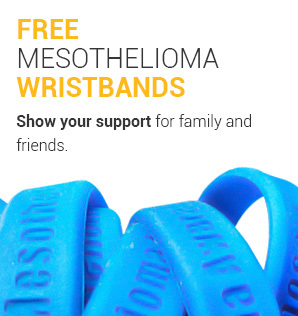 Learn how mesothelioma survivors beat the odds in our free Mesothelioma Survivors Guide. Malignant peritoneal mesothelioma: Epidemiology, risk factors, clinical presentation, diagnosis, and staging. UpToDate. Retrieved from: https://www.uptodate.com/contents/malignant-peritoneal-mesothelioma-epidemiology-risk-factors-clinical-presentation-diagnosis-and-staging?search=malignant-peritoneal-mesothelioma-epidemiology-risk-factors-clinical-presentation-diagnosis-and-&source=search_result&selectedTitle=1~14&usage_type=default&display_rank=1. Accessed: 3/13/18. Malignant peritoneal mesothelioma: Treatment. UpToDate. Retrieved from: https://www.uptodate.com/contents/malignant-peritoneal-mesothelioma-treatment?source=bookmarks_widget. Accessed: 3/13/18. Medline ® Abstracts for References 28,36 of 'Malignant peritoneal mesothelioma: Treatment'. UpToDate. Retrieved from: https://www.uptodate.com/contents/malignant-peritoneal-mesothelioma-treatment/abstract/28,36. Accessed: 3/13/18. Hyperthermic Intraperitoneal Chemotherapy. MD Anderson Cancer Center. Retrieved from: https://www.mdanderson.org/treatment-options/hyperthermic-intraperitoneal-chemotherapy.html. Accessed: 3/13/18. Last Edited: October 23, 2018.